It’s the season of snow globes and holiday games! 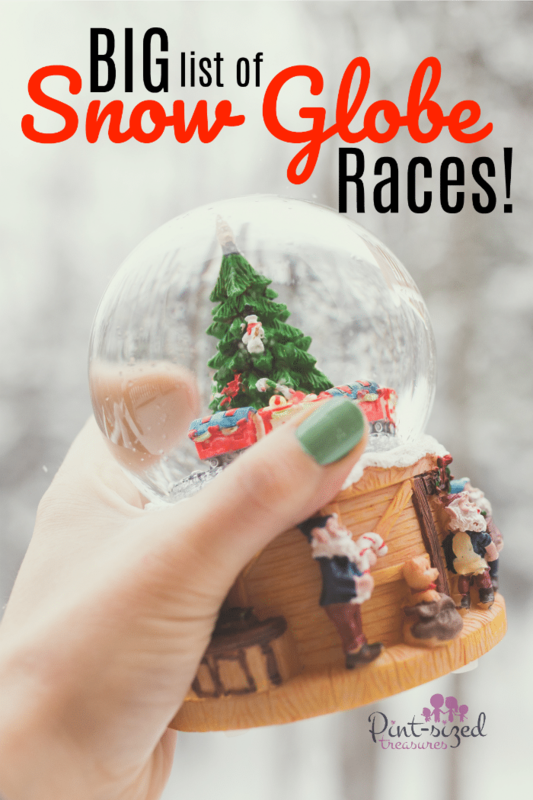 We took those two Christmas traditions and combined them to create a crazy-fun, but super simple game — Snow Globe Races! And people of a variety of ages can play! Guess what? 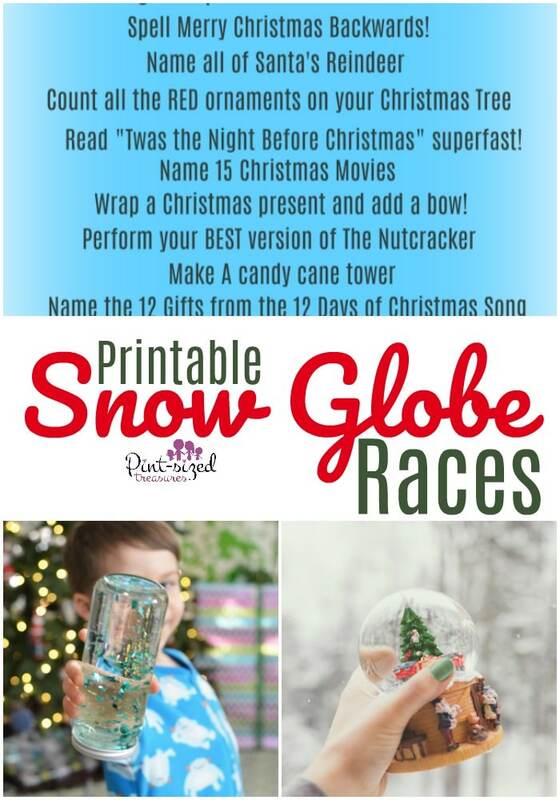 You don’t have to only use these Snow Globe games for holiday parties — they’re perfect for winter break or Family nights too! Don’t have a snow globe? 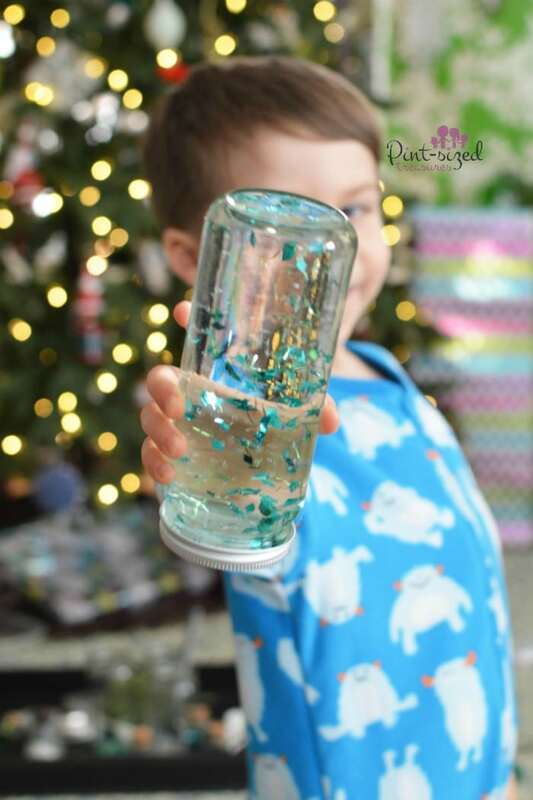 You can make this DIY, Gorgeous Snow Globe here! It’s one of my favorites because it doesn’t leak! 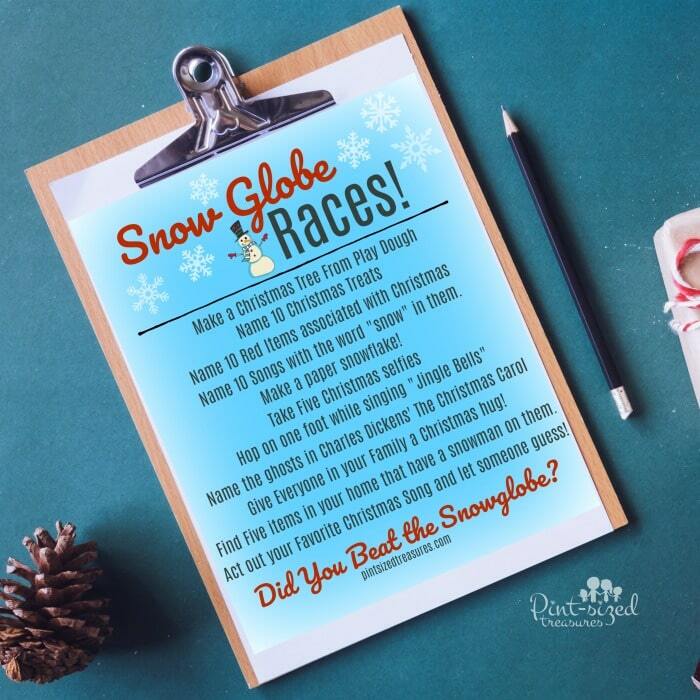 Let’s chat about the simple instructions for playing Snow Globe Races. 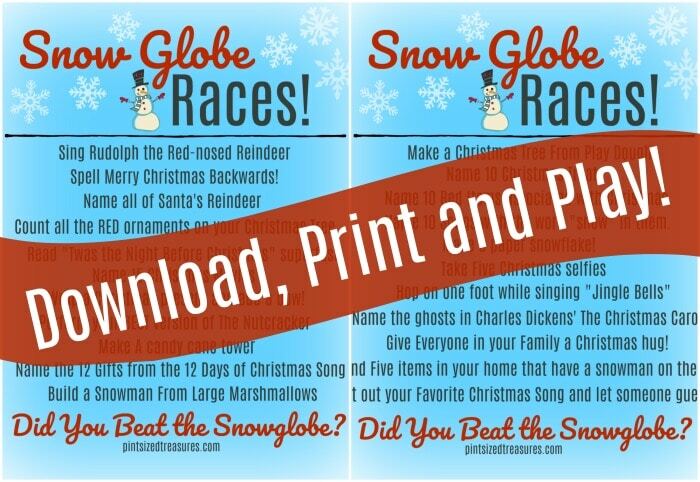 Print out Snow Globe Races Set. Once everyone is ready (any number players will work) have one person gently shake the snow globe and place it on a table. Complete each holiday task before all the snow drops to the ground! And of course, we’ve added a few options to our printable game! Break up into teams and keep points for each holiday task that was completed before the last snowflake fell to the ground.